I have the most glorious book to share with you today. I know you're going to love it as much as I do. Summary (from the book flap): Color comes alive in this whimsical, innovative book: blue dances on summer lakes, green drips from spring leaves, black wafts mysteriously through autumn evenings. Together, an award-winning poet and a brilliant painter inspire us to look closer at the thrilling colors of the seasons. Opening Lines: In SPRING, Red sings from treetops: cheer-cheer-cheer, each note dropping like a cherry into my ear. 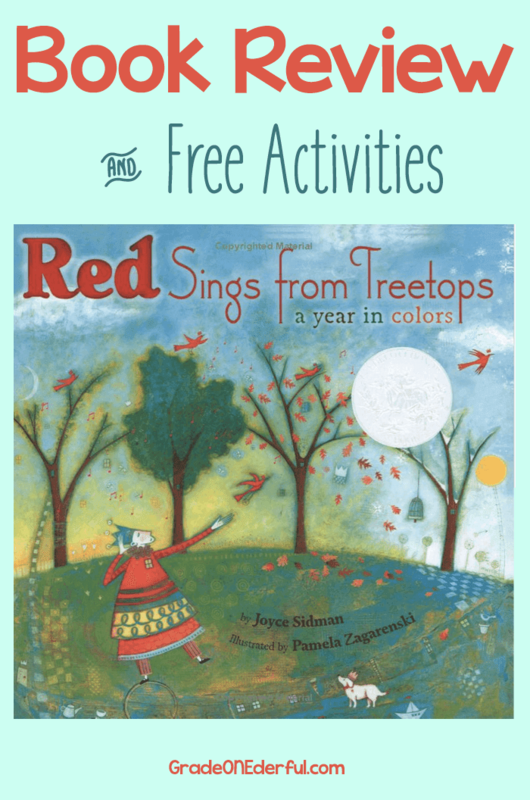 Why I Like This Book: Red Sings from Treetops is so beautiful on so many levels it's hard to know where to begin, but I'll start with the illustrations. Pamela Zagarenski is one of the most talented illustrators I've ever come across. Her work is absolutely stunning in its beauty and her attention to quirky little details. You could spend hours poring over the artwork alone. Each page is full whimsy: the little dog is everywhere, animals and people all have little crowns hovering over their heads, there are many bees and foxes, as well as many little wheel-like images. At her website, SacredBee, she explains a bit about these recurring images (scroll to the bottom to read). The book is a poem and Joyce Sidman has done an outstanding job depicting the colours of the seasons. She involves all of our five senses until you are completely immersed in the feelings and sounds and scents of the seasons. 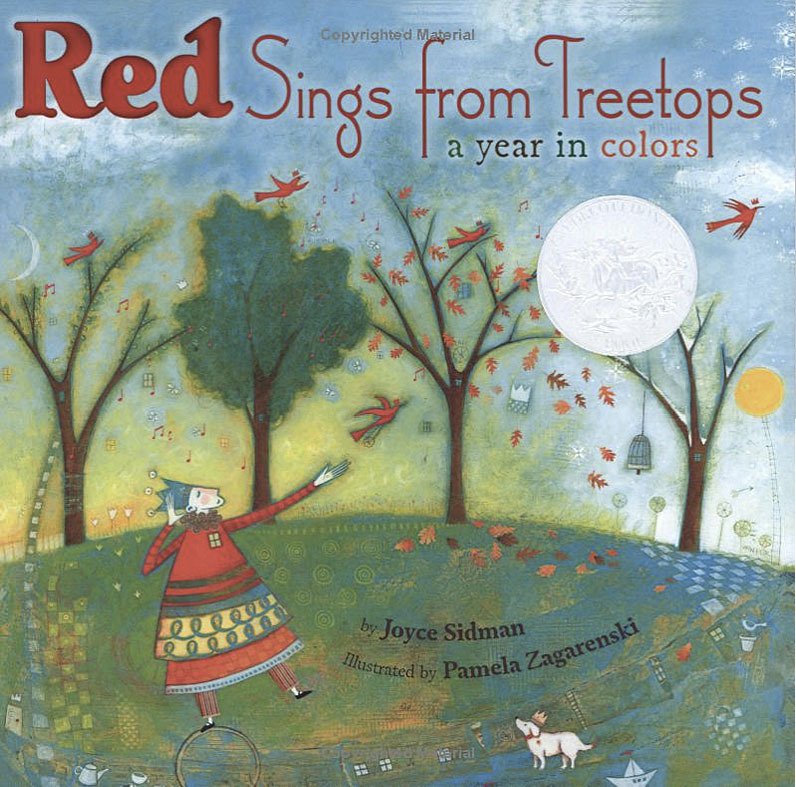 Red Sings from Treetops has won numerous awards and I just cannot recommend it highly enough! Gather up the Descriptive Words: Create a bank of descriptive words to display on a classroom chart for children to refer to when writing. Art from Poetry: Give each child a different descriptive phrase from the poem (e.g., White whispers, floats, clumps, traces its wet finger on branches and stumps). Have them paint or color the image those words evoke. Then display both paintings and words. Color Sentences: Have the kids create their own color sentences, either as a whole class, in partners or individually. Challenge them to pick something from nature and describe it using five senses words without naming the object. E.g., Happy, crunchy brown faces, with wild and curly yellow hair, beaming and bowing at the sun (Can you tell I'm describing sunflowers?) All the sentences could be combined into a class poetry book of colors! An Easier Poem: For younger children it would be easier to focus on one color, e.g., "red" and write something like, "Red is warm juicy raspberries dripping on my chin." Guessing Game: With young children you could read a page from the book (without showing the illustrations) and have them guess the season and what's being described. Nature Walk: Walk in nature and note the myriad sounds, colors, tastes and textures. 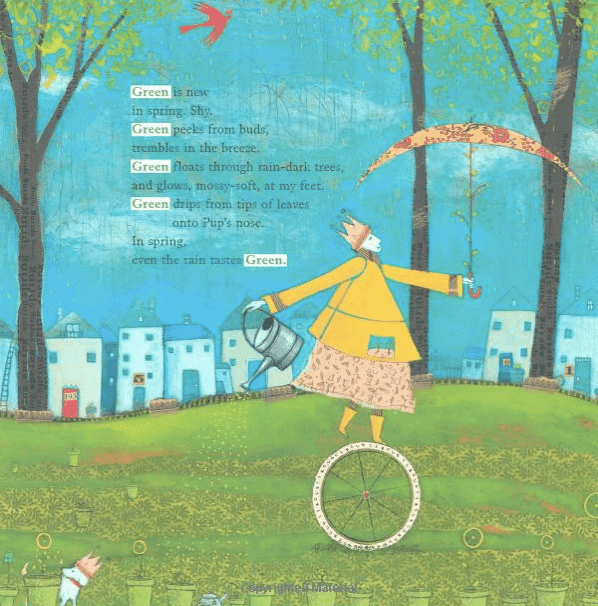 BTW, you can see more of Pamela Zagarenski's gorgeous illustrations here. 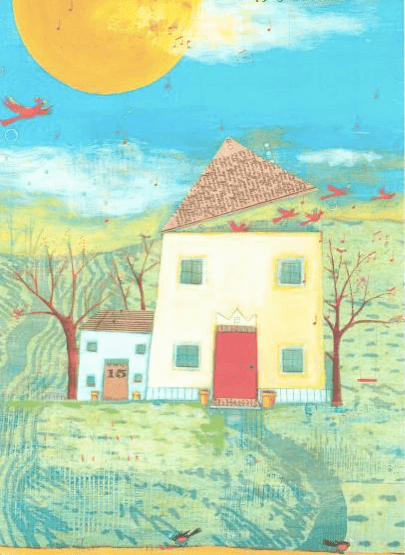 I'm linking up with Susanna Hill's Perfect Picture Book Friday. Be sure to check out more great reviews. Yes, that's definitely the kind of book it is! I've heard of this but haven't read it yet. I'm intrigued by the illustrations. Will have to check it out. What fun - wordplay, seasons... and great activities. Thanks for sharing these. You’re welcome, Sue. Thanks for stopping by!